Can I Give My Cat Black Beans? We love black beans. 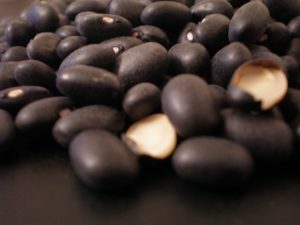 Beans have earned a reputation as ‘the musical fruit,’ but that does not stop us from eating them regularly, and black beans are one of the most popular options today. These soft, filling, flavorful little beans are an important part of burritos (and burrito bowls), three-bean salads, taquitos, bean dip, tostadas, soups, and chili, and even brownies. Because is food is kind to our bodies and to our wallets, most of us are willing to eat it regularly without an ounce of guilt. Those of us who share our homes with pets, on the other hand, have other concerns. Is it okay to share leftovers with our pets if they contain black beans? Is it okay to toss the curious kitty a few beans to keep them from sticking their paws in your soup? Can cats have black beans? Technically, yes, cats can eat black beans—unlike some other popular foods, beans are not likely to cause toxicity in cats, so we do not need to rip our hair out if we catch Fluffy eating a couple of them off the kitchen floor. However, nontoxic does not necessarily mean healthy, and black beans are generally not recommended for regular feline consumption. While there are certainly worse things you could give your cat, there is really no good reason to supplement their diet with black beans. But aren’t beans among the healthiest foods available? In the realm of omnivore nutrition, yes. Black beans are loaded with fiber, protein, iron, folate, and other nutrients that can help protect overall health. The famous fiber-and-protein combination in most types of beans is thought to be what gives them their health-boosting powers. Beans are a great staple food for humans. Cats, however, stand to benefit very little from black beans. Though these delightful little foods are tiny boxes loaded with nutrients, our cats don’t have the biological keys required to open them! Much of the protein and many of the micronutrients in black beans are useless to our cats because they lack the ability to absorb them. Though many life forms require some of the same nutrients to survive and to thrive, several million years of evolution have given us very different ways of getting those same nutrients. We know how to meet our omnivorous human nutrient needs, but when it comes to cats, our intuition is often slightly off. Humans are omnivores who thrive on a diet high in plant foods. Even our dogs, who are able to process meat more efficiently than we are, can be healthy on a diet that includes a lot of plant foods. Cats, on the other hand, are obligate carnivores who share the dietary habits of their wild relatives. Calicos and Persians do not look too terrifying, but they have digestive systems that are almost identical to those of lions, tigers, and leopards. Obligate carnivores like cats have spent the last several million years eating one type of food almost exclusively: meat. Though their bodies use many of the same nutrients as ours do, they have ‘learned’ how to recognize those nutrients in the forms that they exist in in meat foods. This means that, though beans are a fabulous source of protein for us, they do not contain the right ratio of amino acids for our cats.  Many of the amino acids that cats need to survive, like taurine, are not present at all in black beans! Another issue with feeding your cat black beans is the carbohydrate content. Though the complex carbohydrates in beans are considered healthy for humans, they will do little for our cats. Cats require high-protein, low-carbohydrate diets—they actually lack a lot of the biological equipment required to properly process carbohydrates. If you feed your cat a substantial amount of black beans, they are likely to develop digestive problems. The most common issue with beans is excessive gas, which can be painful for cats. Some felines also struggle with vomiting or diarrhea. If your cat gets an upset stomach after eating a few black beans, it is safe to say they should avoid them in the future. Even if your cat tolerates beans well, the high amount of carbohydrates may contribute to obesity. Cats who are already overweight should not eat any high-carbohydrate foods, including beans. If you do feed your cat black beans, you may want to avoid giving them canned beans. Like most canned food, they are often very high in salt, which can cause health problems for your cat. The best beans you can give your cat are bought fresh, cooked at home, and unsalted. Do not give your cat uncooked beans. In conclusion, it is safe to give your cat a couple of black beans every now and then, but they should not be a dietary staple. 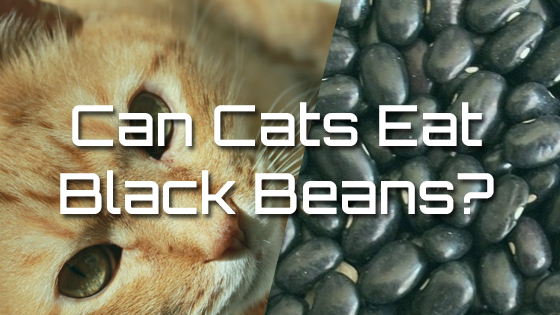 Like many plant foods, black beans are difficult for cats to digest, and offer little in the way of nutrition. If you decide to give this food to your cat, opt for fresh rather than canned beans. Can Cats Eat Raw Chicken? Can Cats Eat Beef Jerky?